Bring a large pot of water to a boil. Add noodles and cook according to package directions. Rinse well and transfer to a bowl. Mix soy, mirin, vinegar and sesame oil together and immediately toss HALF of mixture with hot noodles. While noodles are cooking, heat vegetable oil in a fry pan or wok. Add garlic, ginger and whites of green onions. Stir-fry quickly. Add greens and remaining soy mixture. Continue to cook until greens are tender. 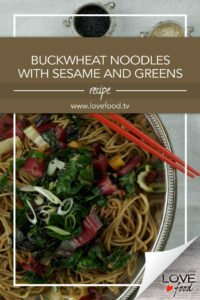 Divide noodles between bowls, or pile onto a serving platter, and top with greens. 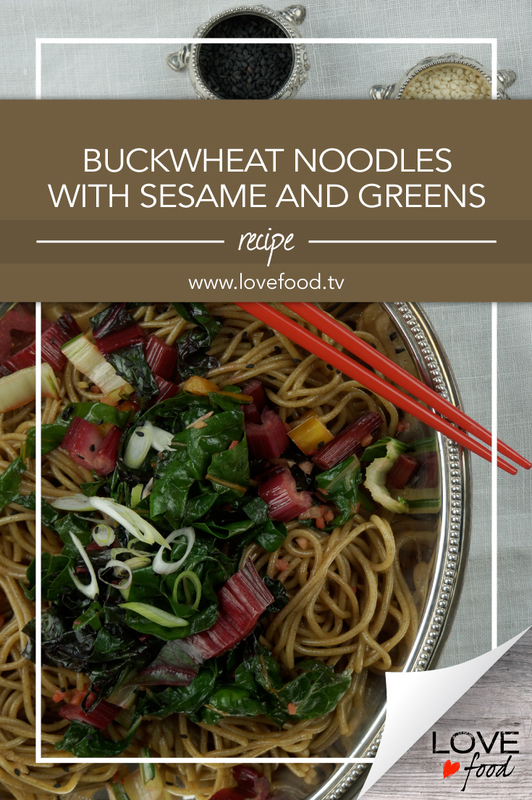 Garnish with sesame seeds and finely sliced green onions.